Pfc. 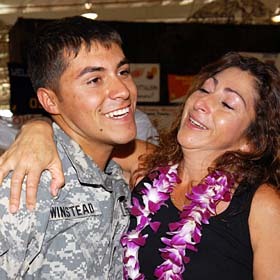 Michael Winstead was greeted with tears of joy by his mother, Maria, after returning to Hawaii yesterday. However, his father -- a member of the California Army National Guard -- has just started a combat tour in Iraq.